Taylor Technology Systems’ ‘Winter Health and Safety Training Day’ was held on Friday 7th December at the Alba Charing Cross Hotel. 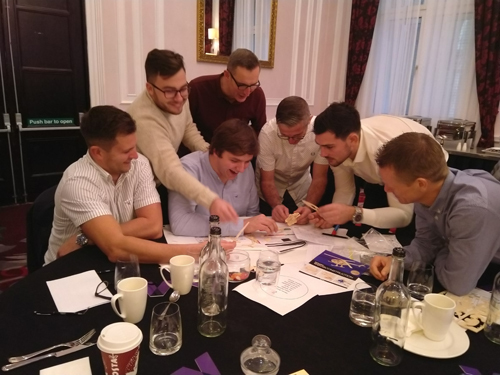 The training session had a focus towards Network Rail’s Lifesaving rules, including working responsibly, working with electricity, driving, working at height, and working with moving equipment. This year, the day was also attended by the Head of Estate and Facilities at Southeastern Railways, who drew on his own experiences to speak about Asbestos awareness. “Health and Safety is of paramount to us and our customers. Our training days assist in ensuring all TTS staff have thorough knowledge and understanding of Health & Safety practises. This year it was great to have one of our clients involved in the training session, and we thank Southeastern for collaboratively working with us,” – David Glenister, OSHE Manager at TTS.